Pentru a doua oara in Romania, direct din Mexic, Tetzkatekuhtli Kuauhtlinxan vine in mai 2019 intr-o serie de ateliere legat de traditia sa, vorbind despre calendarul Aztec, simbolul oglinzii negre si terapia cu cristale. Deoarece locurile sunt limitate, va rugam sa va anuntati intentia de participare din timp. Locatia va fi comunicata participantilor dupa plata avansului. Daca, din motive bine intemeiate, participarea la acest curs nu mai este posibila, puteti sa trimiteti pe altcineva in locul dumneavoastra. Avansul de inscriere la curs nu se mai returneaza. Tetzkatekuhtli Kuauhtlinxan, in traducere Seniorul oglinzilor, al cuibului de vultur, apartine uneia dintre cele 22 Kaxtias (familii dinastice) de traditie mexicana insarcinate cu a pastra cunoasterea traditiei Tetzkatlipoka dupa sosirea spaniolilor in Mexic. Aceasta traditie e una din cele patru mari scoli de cunoastere care s-au dezvoltat, colaborat si avut o influenta majora in evolutia popoarelor din tinuturile inalte ale Mexicului. Tetzkatehutli are cunostinte de medicina, cosmoviziune, sisteme calendaristice si dans de razboi si ceremonial. Raspunde si de pregatirea noilor generatii care traiesc conform filozofiei de viata a Traditiei Teztkatlipoka. Principalul obiectiv al acestei traditii este sa sprijine dezvoltarea fiintelor umane actionand mereu intr-o forma constienta si facandu-se totalmente responsabili de actele sale cu scopul de a obtine “Supremul Echilibriu in Armonie”. Din 1998 aplica terapii in diverse locuri din tara si strainatate. Din 2008 sustine conferinte, organizeaza workshop-uri si seminarii despre cultura mexicana si medicina traditionala, prezentandu-le in cadrul companiilor prívate, institutii educative atat nationale cat si internationale. Din 2015 participa si este membru al consiliului intern al Reuniunii Cercului de Intelepciune a Traditiilor Ancestrale din Paris. A predat cursuri, ateliere si conferinte in Berna, Berlín, Barcelona si Bordeaux despre cosmoviziune si medicina traditionala mexicana si Calendarul Aztec. Organizeaza ceremonii de vindecare individuala si colectiva. 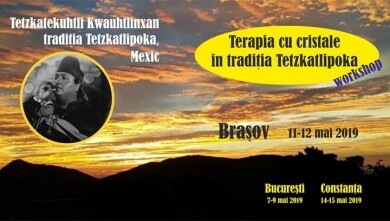 For the second time in Romania, straight from Mexic, Tetzkatekuhtli Kuauhtlinxan comes in May 2019 in a series of workshops about his tradition and its symbols: Aztec calendar, black mirror and crystals. Tetzkatekuhtli Kuauhtlinxan, translated The Senior of the mirrors, of the eagle’s nest, belongs to one of the 22 Kaxtias (dinastic families) of mexican tradition that are given the role to keep the knowledge of Tetzkatlipoka tradition after Spanish came in Mexic. This tradition is one of the 4 big knowledge schools that developed, collaborated and had a big influence in nations’ evolution from high planes of Mexic. -Kind (Type) of Crystals . Feminine and Masculine. Transmitter and receiver. -Understanding the frequencies and vibrations of each Crystals. Tetzkatehutli has knowledge of medicine, cosmovision, war and ceremonial dance. He is also responsible of training the new generations that live in the philosophy of Tetzkatlipoka tradition. Main objective of this tradition is to support the human beings development to act in a conscious and responsabile way for reaching the “Supreme Balance in Harmony”. From 1998, he is delivering therapies in different places in his country and in the world and from 2008 he organizes workshops and conferences about Mexican culture and traditional medicine in private companies, national and international educational institutions. From 2015 he is member of the internal council of the council of the Circle of Wisdom of the Union of Ancestral Traditions from Paris. He teaches courses, workshops, conferences in Berna, Berlin, Barcelona and Bordeaux about cosmovision and mexican traditional medicine and aztec calendar. 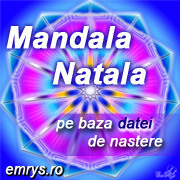 He organizes individual and colective healing ceremonies.